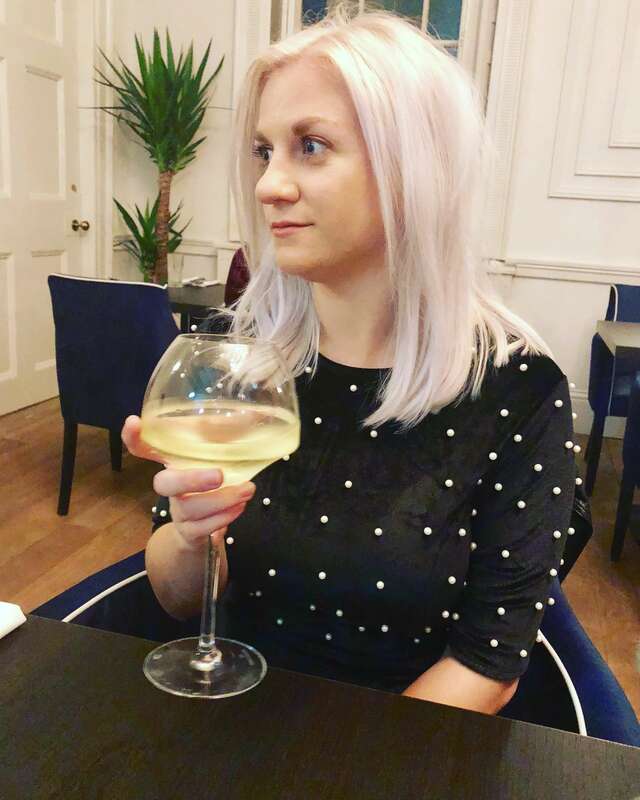 November has been pretty busy for me (can you tell from the lack of blog updates?!) and I’ve been getting out and about quite a bit. 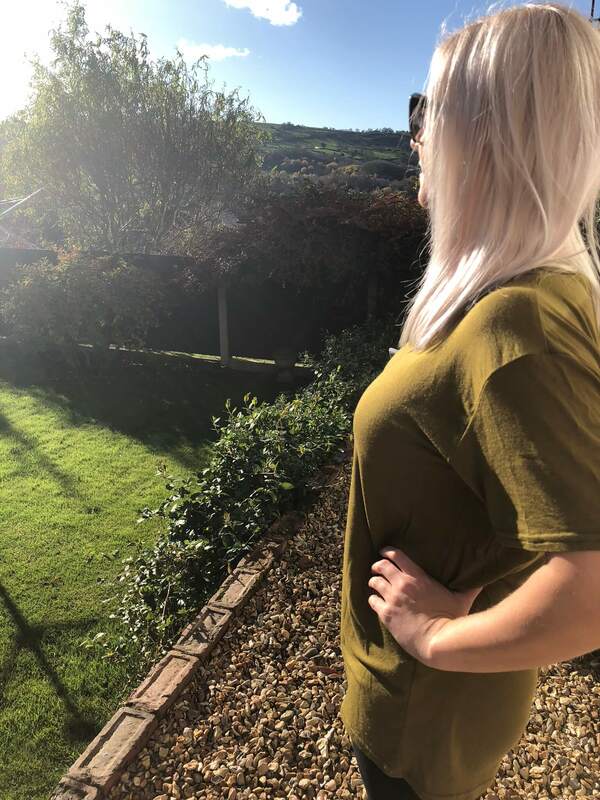 I’ve been on three really long dog walks in the Peak District which is my favourite way of keeping fit and I spent pretty much all of last week in London. And obviously for all of these trips I needed outfits! And that’s where LOTD comes in. 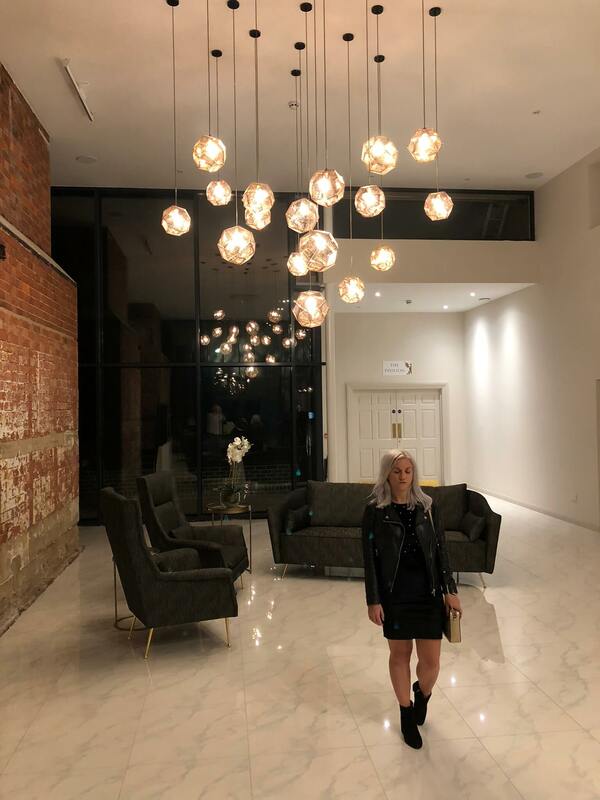 An up-and-coming fashion brand based in Manchester, they have loads of fashion-forward clothes at super affordable prices. I am obsessed with their knitwear! I wore this mustard v-neck cable jumper for wine tasting at Veeno. 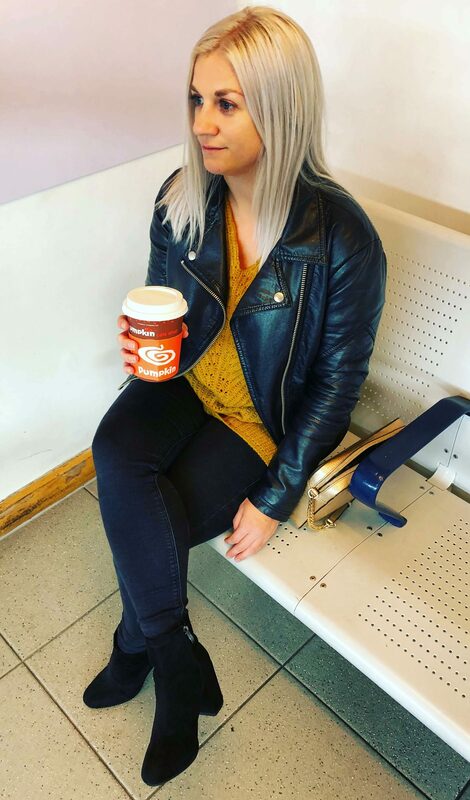 It’s super cosy and I’ve worn in quite a few times since – it’s perfect for days out exploring the city. These black block heel sock boots are super comfy and I’ve probably worn them every day since I got them. This black pearl trimmed velvet dress is perfect for Christmas parties as its elegant with a little bit of sparkle. I love velvet as it just has a really luxe feel to it. I wore this to dinner at Black Iron. 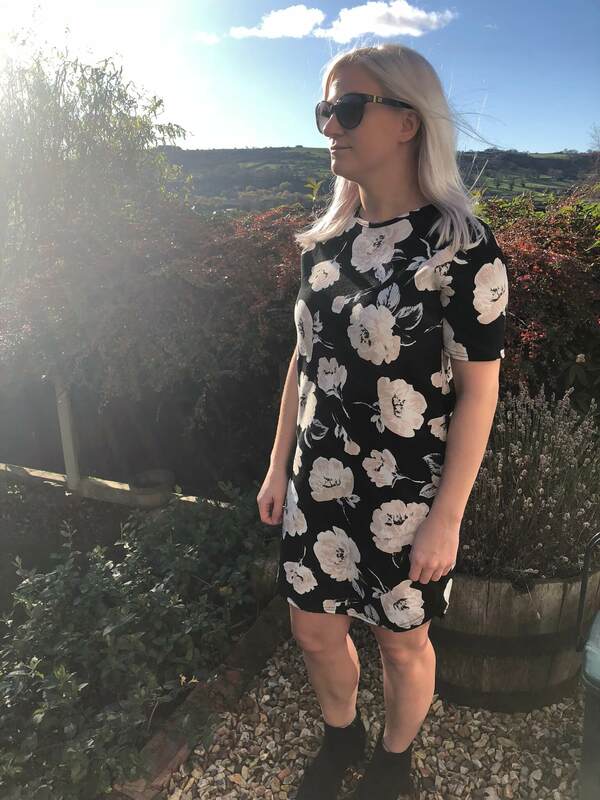 I love this floral print t-shirt dress as it can be dressed up or down and I’ve worn it on a couple of casual nights out like dinner at The Market Pub and drinks at Another?. It’s the perfect length as its quite short and it goes really well with the ankle boots. I’ve worn it with bare legs but it would also look great with tights or leggings, now its a little colder. 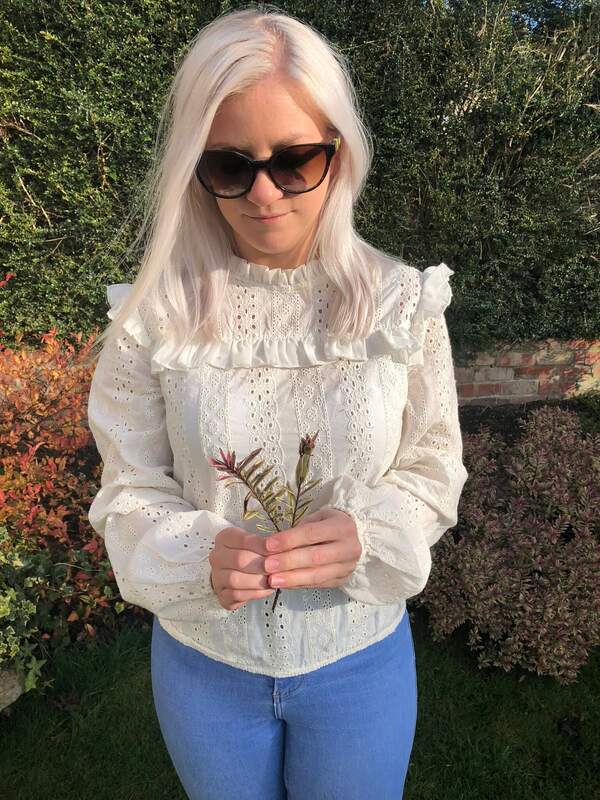 I love this cream ruffle shirt – ok, so it’s a little summery, but who cares?! Looks super cute with light coloured jeans and it will go really well with cork wedges when we get back to spring. But for now, wear with a faux fur gilet to keep warm. 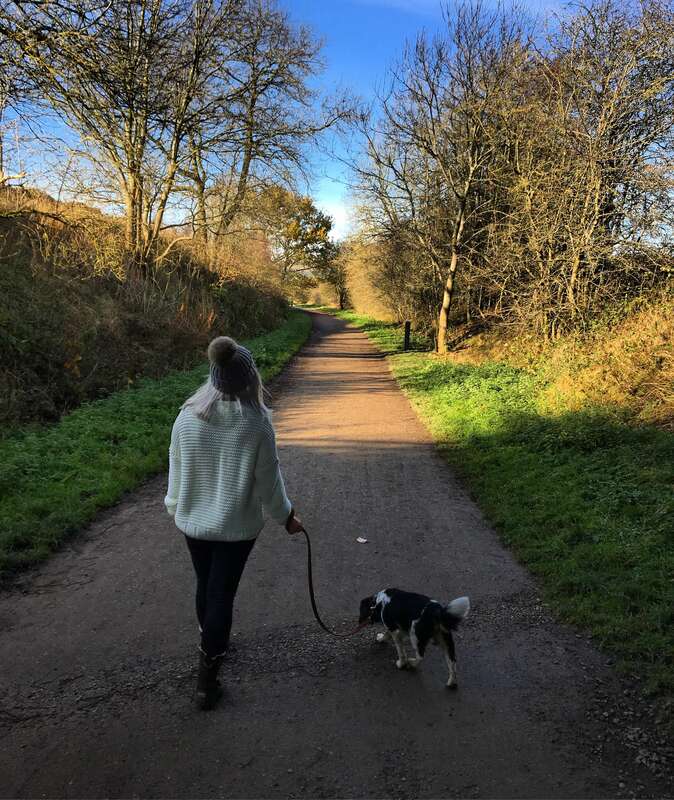 I wore this cosy cream knit on a beautiful dog walk (and pub stop!) 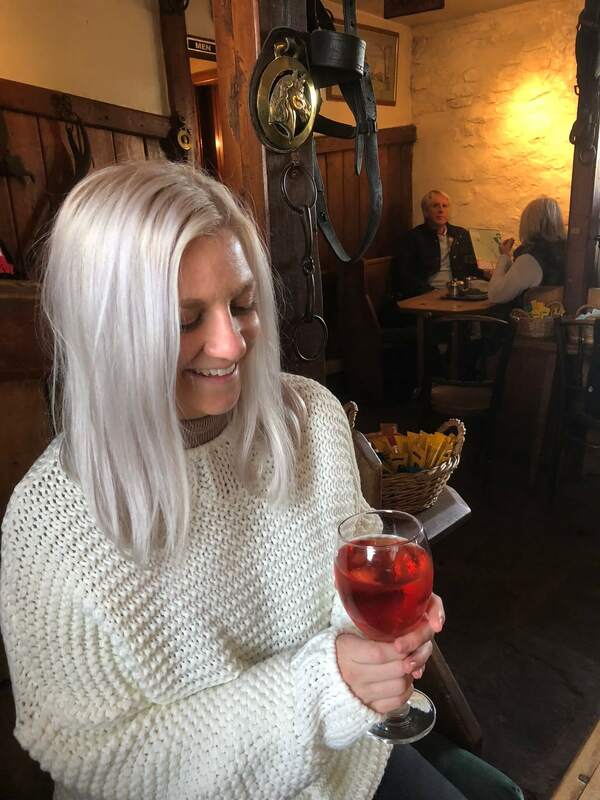 in the Peak District and it kept me super cosy. I teamed it with jeans, my leather Ugg boots and my Pomskii hat. 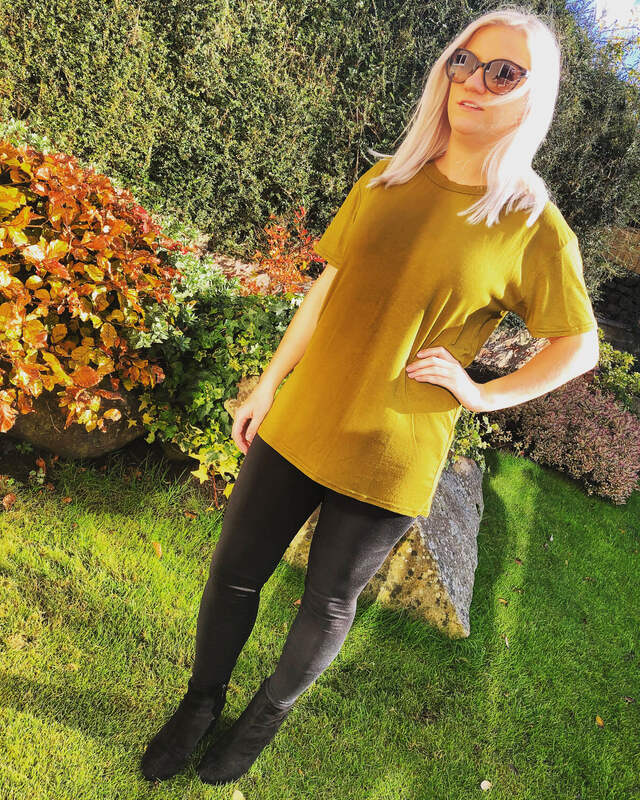 This olive t-shirt is so versatile. 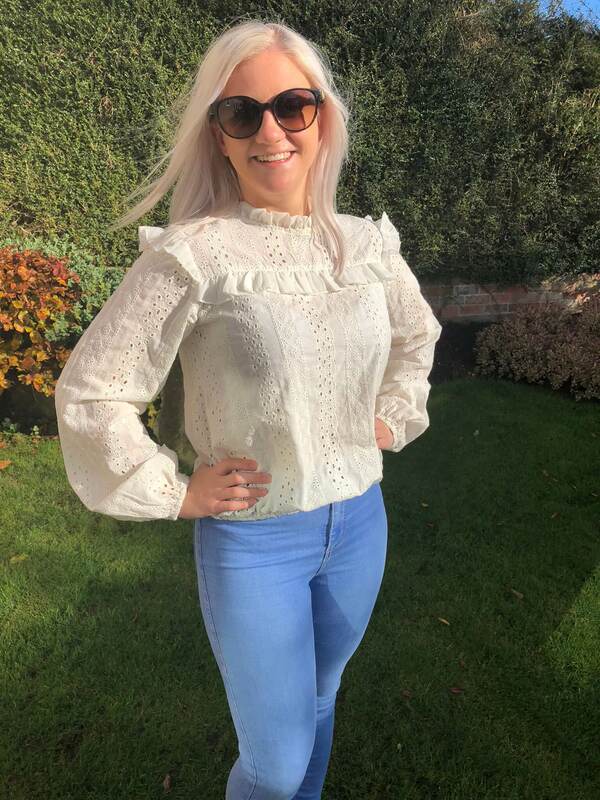 It can be dressed up with leggings and heels for cocktails with the girls or worn with jeans for the day time – it’s super easy and a great option. Plus, the colour is gorgeous. Like what you see? Check out LOTD here. I was sent items from LOTD for this post but, as always, all opinions are my own.